The winter period is always a special time for the Salvation Army. It is the time of the celebration of the birth of Jesus Christ, our Lord and Savior. And this is the time when we, as Christians and salvationists, can take special care of those people who need God's warmth and love during this period. Advent and Christmas were held in a warm and family atmosphere in all the SA corps in Russia. 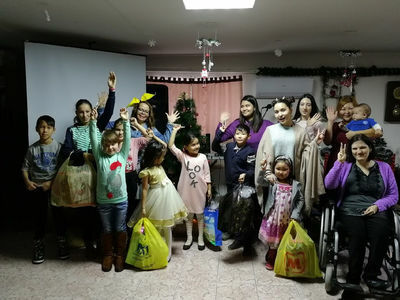 On December 22, the annual children's Christmas holiday “Angel Tree” for children from large and low-income families was held in the Salvation Army in Moscow. 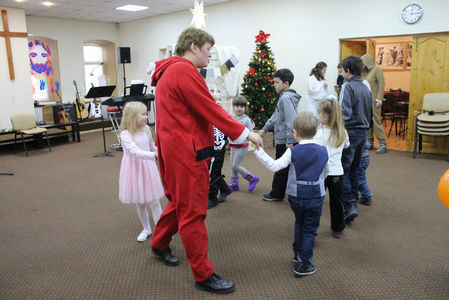 In Elista, salvationists arranged a special Christmas show and celebration for large families. 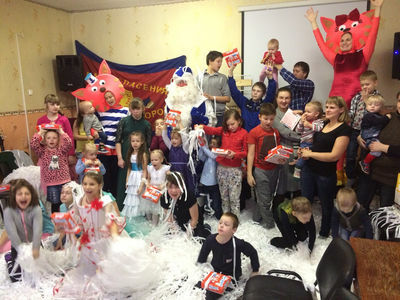 And in Veliky Novgorod was held a bright Christmas celebration for children. In Petrozavodsk, as part of the Salvation Army “Red Kettle”, chidren from the “You are Special” youth and children club prepared an hour program and held two concerts in the Tetris shopping center. And at Christmas, children staged a concert for the parents: they sang in chorus, ensemble, quartet, danced and showed two dramas. Also, salvationists did not forget those people who are particularly in need of warmth and food in the winter frosts. In the Army Corps in St. Petersburg, a Christmas celebration was organized for the homeless with music, a sermon, a festive dinner and gifts (organized by the Salvation Army volunteers and the Annenkirche Lutheran Church). 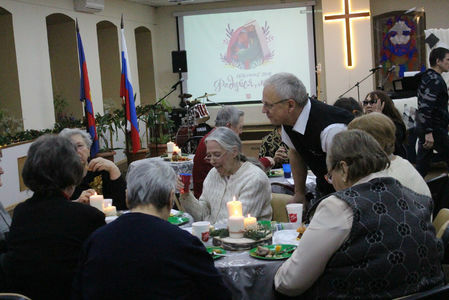 December 30 in Moscow in the church "Good News" was Christmas service for people living on the streets. 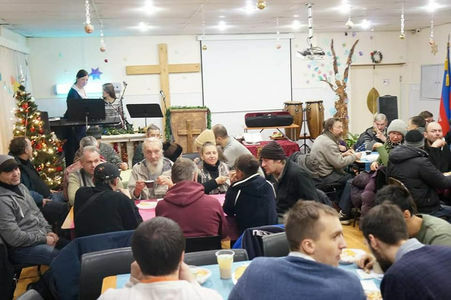 Various churches and organizations that serve the homeless in Moscow and the Moscow Region, including the Salvation Army, have joined together to hold the worship service. In Voronezh, the holiday of Christmas and New Year was marked by serving people in need. Salvationists made gifts to those whom they feed every Tuesday at the railway station. They also visited children in the children's unit of the tuberculosis dispensary, arranging a party for them and donating 30 sets of stationery. 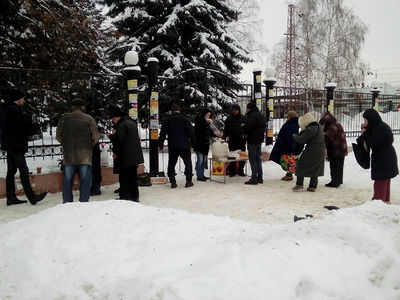 Also in Volgograd, despite the cold wind, people from the street could hear the Gospel, warm themselves with hot tea, prayer and receive Christmas gifts.